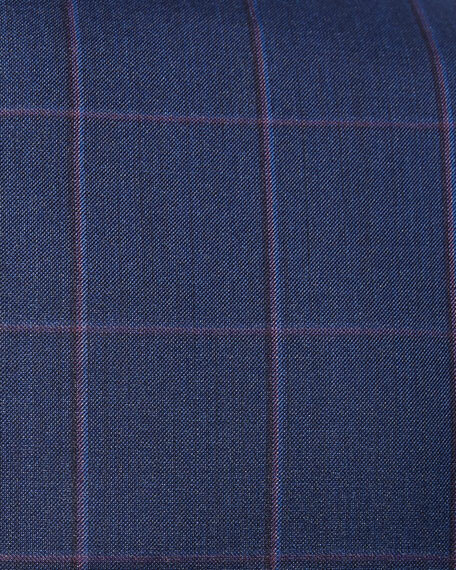 Front flap pockets; chest welt pockets. 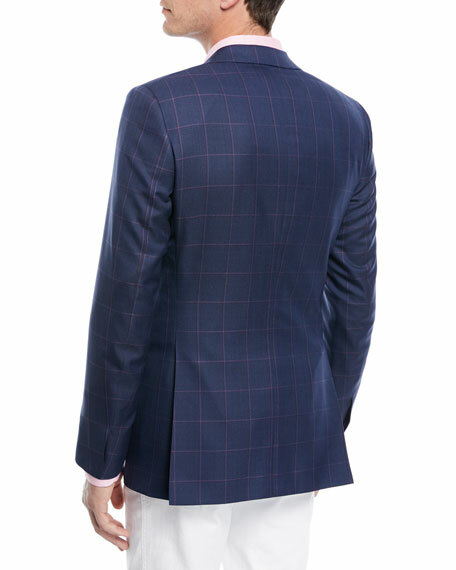 BOSS Hugo Boss slim-fitting business jacket in micro-pattern weave with pickstitching detail. Approx. 28.7"L down center back. Notch lapels; two-button front. Welt chest and inside jet pocket. Front patch pockets. Finished sleeves. Double vent. Partially lined. Wool/nylon. Imported. 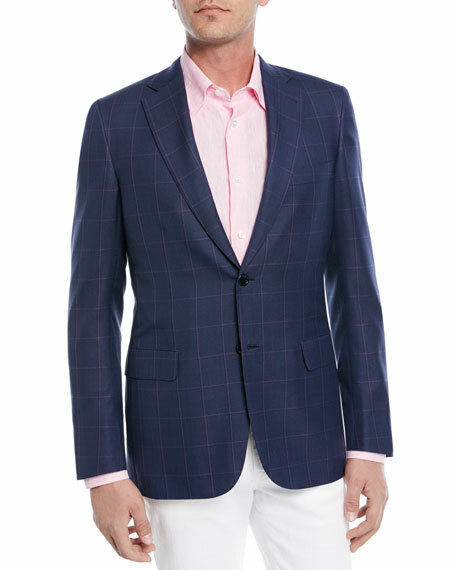 BOSS Hugo Boss sport coat in windowpane plaid. Notch lapel; two-button front. Four-button sleeve finish. Chest welt pocket. Side flap pockets. Cutaway hem. Slim fit. Wool/linen. Imported. THE ROW "Michel" jacket in lightweight, summer weave. Notch lapel; single-button front. Four-button cuffs. Welt pocket at chest. Besom pockets at hips. Double-vented back. Cotton/cashmere; cupro lining. Made in Japan.